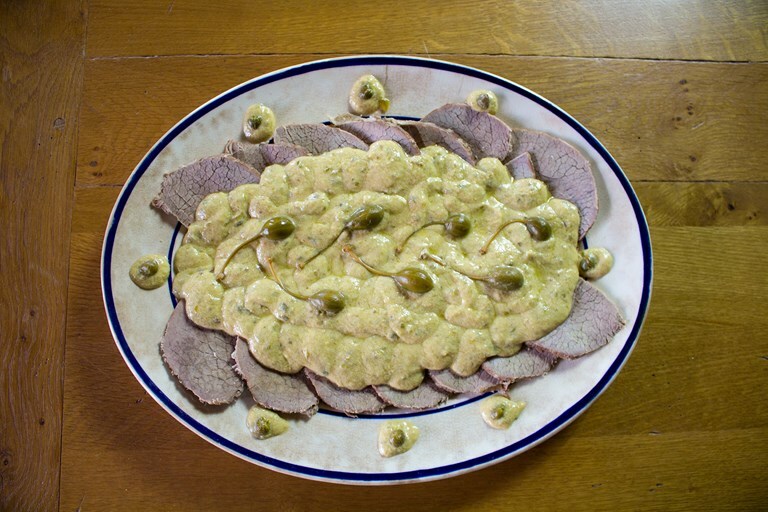 Luca Marchiori shares his vitello tonnato recipe, a classic Piedmontese dish. 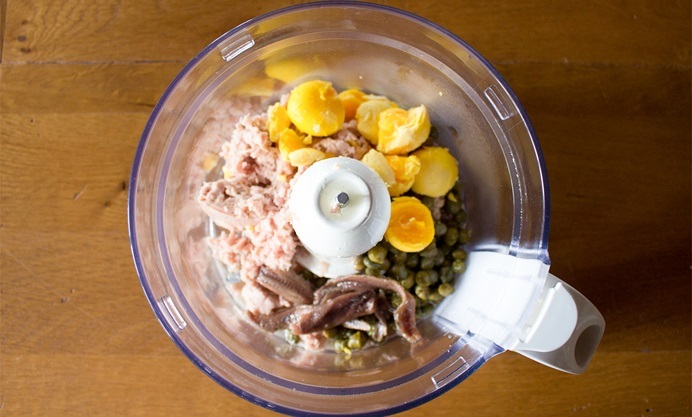 Slices of aromatic veal are served in a rich fish sauce made from tuna, capers and anchovy. Serve as part of an antipasti platter, or by itself as a more filling main course. 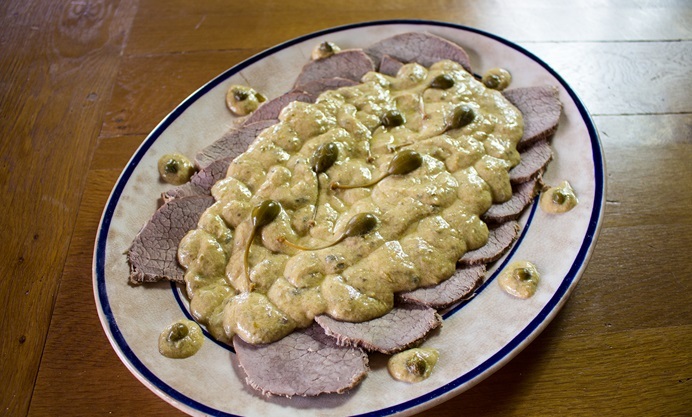 Vitello Tonnato is a kind of ‘surf and turf’ from the north-eastern region of Piemonte. As a child, I spent several magical summers there at my uncle’s house, cycling through seemingly endless fields of maize and picnicking in the hills around Asti. It was at one such picnic that I first tried this dish. 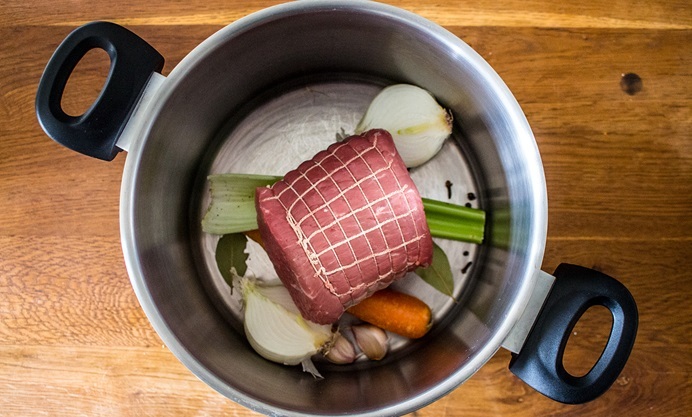 Traditionally served cold as an antipasto, it consists of aromatic boiled veal – thinly sliced – served in a tuna fish sauce with hints of caper and anchovy. Nowadays, the sauce often includes mayonnaise but this version is the traditional one adapted from Science in the Kitchen and the Art of Good Eating by Pellegrino Artusi. 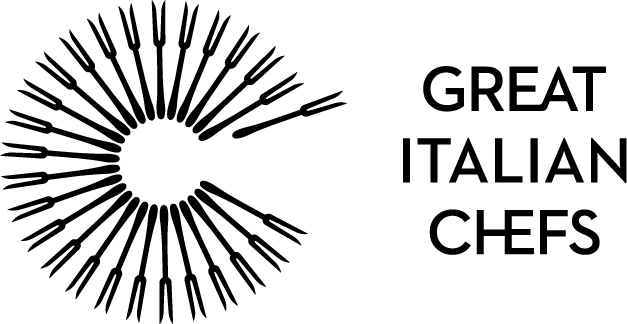 First published in 1891, this book is considered to be the definitive text on classical Italian cookery.